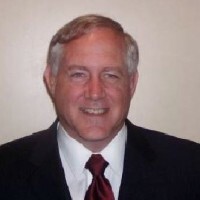 Mr. Steven A. MacLaird established Highland Consulting Group in 2005, after retiring from an illustrious career with the Air Force as a US Air Force Colonel. Steven relocated to the United Arab Emirates in January of 2013. Highland Consulting provides SME to annual contracts impacting multiple programs worth millions classified work, consisting of but not limited to setting up high-level meetings, strategy reviews and Red Team proposals. Steven is also a consultant to Department of Defense and Department of Energy. He has extensive experience in acquisition management, contract program management, building processes program along with policy and procedure to a number of defense contractors and three letter agencies in the BMC4ISR arenas. Steven also provides acquisition, contract, financial and program management for air, land, sea and space based assets for battlefield management, command, and control, communications, computer, intelligence, surveillance and intelligence sensor to shooter platforms.